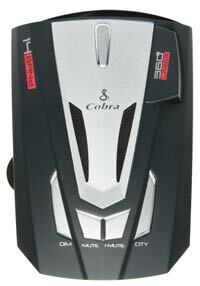 Superfast sweep circuitry provides extra range and advanced warning. KU Band Detection mode detects the Ku Band Radar Gun currently being used in in Europe. Be ready when it comes to the U.S. Note: This item may not be shipped to Virginia or the District of Columbia. This item is not intended for use where prohibited. Super-fast sweep circuitry provides extra detection range and the best possible advanced warning to even the fastest radar guns. Detects the latest Radar Gun Pop (Super-fast Instant-On) Mode. The IntelliMute relative speed sensing auto-mute system virtually eliminates false alerts, and the IntelliMute Pro feature renders your detector undetectable by currently available radar detector-detectors. 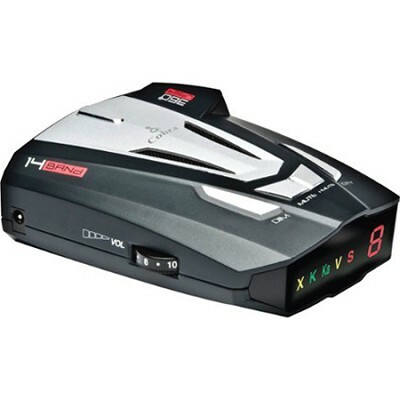 Provides complete immunity to VG-2 radar detector-detectors. Quick and convenient access to most used features--mute, dim, city/highway switch, etc. 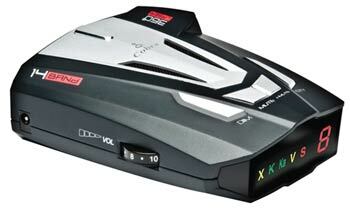 Alerts the user when they are under surveillance of VG-2 radar detector-detectors. Warns drivers of the presence and/or approaching emergency vehicles, railroad crossing, and road hazard locations equipped with Cobra's exclusive Safety Alert transmitters. Allows the user to select operating mode, reducing the frequency of falsing in densely polulated urban areas.